Every Car Next Door should have a toll tag in it, but if you don't see one or it doesn't beep the toll will still be charged correctly so there's no need to worry. If you pass through a toll point and the tag doesn't beep, please let us know as the tag may need replacing or repositioning. The toll will still be charged and passed on to you. 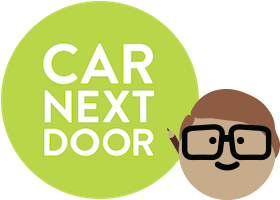 When you first join Car Next Door we install a toll tag in your car. Tolls will still be processed even if the tag doesn't beep, but it's best to have a working toll tag in your car. If you or your Borrowers notice that the toll tag in your car doesn't beep when passing through a toll point, it could be because your car has a metallic windscreen that's blocking the signal. Check your car's manual to see if there's a position on your windscreen where you can place the toll tag and the signal won't be blocked. If you can't find it or the toll tag still doesn't beep, please let us know so we can help you out or replace the toll tag. We don't install a toll tag in your car. Instead, you'll need to have your own toll account for you and your Borrowers to use and send us your statement each month to be reimbursed. If you don't have a toll tag or account, you'll be responsible for any admin fees resulting from using toll roads without an account.